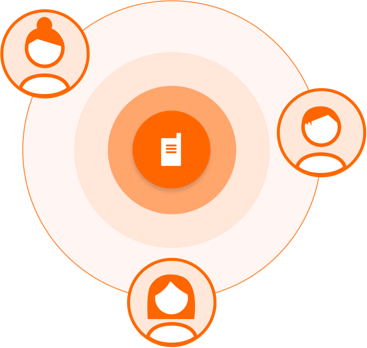 See how Voxer helps businesses communicate more efficiently while keeping message data secure. Administrative tools for secure collaboration and management of your team. Control privacy settings for your organization. Add or remove users from your company and teams. Create chats with up to 500 individuals or team contacts. Assign multiple admins to your account for more flexible control. See a written copy of audio messages instead of listening to them. Have access to your entire message history. Recall and delete any unwanted messages you have sent. Pick a chat to listen and respond to using live voice without being in the app. Alongside voice, send text, photos, video, gifs, and share your location. Data is sent through encrypted connections and stored in a secure cloud. Hook up your wired or Bluetooth headsets to respond back hands-free. When you are at your desk, listen and respond to your contacts from a desktop.